The Fraser Centre is delighted to have the honour of welcoming two patrons, Gordon Kennedy & Mark Bonnar, to help promote our project. The Fraser Centre Community Trust is delighted to welcome Gordon Kennedy as the Trusts first Patron. The Trust is aiming to rebuild the former Winton Cinema into a state of the art facility for the community and Gordon has many fond memories of the Cinema. “I am so honoured and thrilled to be asked to be a patron of the The Fraser Centre Community Trust. I lived in Tranent and am, sadly, old enough to remember The Winton Cinema and more importantly remembering it closing. It is fantastic that The Fraser Centre is rising Phoenix like from its cold ashes, and it is fitting that it is doing this through the hard work, commitment and spirit of local residents lead by Jonny and his team. Cinema can take anyone, to anywhere to anytime. It moves you to laugh, cry and if I ever appear on screen… scream… but you do this collectively as a community and in a way that can never be replicated at home. In a world where more and more entertainment is being delivered to you personally it is so important that places like this thrive and become a hub not only for entertainment but for education too. I have no doubt that this will happen and I can’t wait to see a movie there very, very soon. Chairman of the Trust, Jonny Russell was delighted to attract Gordon as the Centres first Patron: “We are absolutely delighted to have attracted Gordon who has achieved so much and is so well respected in the world of entertainment. To add to the fact he is a local lad who remembers visiting The Winton Cinema makes him the perfect, and a very fitting, choice as our first patron. Following in the recent announcement of Gordon Kennedy as patron, the Trust is delighted to have attracted actor Mark Bonnar to represent the Trust. Mark who is currently shooting series 2 of Catastrophe for Channel 4 said: “I am very proud and very lucky to be a patron of The Fraser Centre. This is an incredibly important project to rebuild the centre to become an arts hub and entertainment centre for Tranent and the surrounding areas, which will benefit the community no end. Chairman of the Trust, Jonny Russell said: “I am absolutely delighted that Mark has agreed to become a patron of The Fraser Centre and would like to thank him for enthusiastically agreeing to do so. The project is entering a critical stage and we will shortly be launching our fundraising campaign to raise money for the proposed new centre and announce the range of opportunities where people can help. Mark was nominated for a Scottish BAFTA for his role as ‘DC Mike Dryden’ in the highly acclaimed second series of Line of Duty on BBC2. Other recent screen credits include feature films Camera Trap and Sunset Song and for television:-Vera, Grantchester, Shetland, Doctor Who, Case Histories, Psychoville and Twenty-Twelve (BBC) and Phone Shop (Channel 4). Theatre includes: The Duchess of Malfi (Old Vic), Novecento, Twelfth Night and Parade (Donmar) and The Cherry Orchard (National Theatre). The Fraser Centre Community Trust would like to extend our sincere thanks to all our volunteers. They are such a great team who believe passionately about what we are doing and we are grateful for your support, thank you. 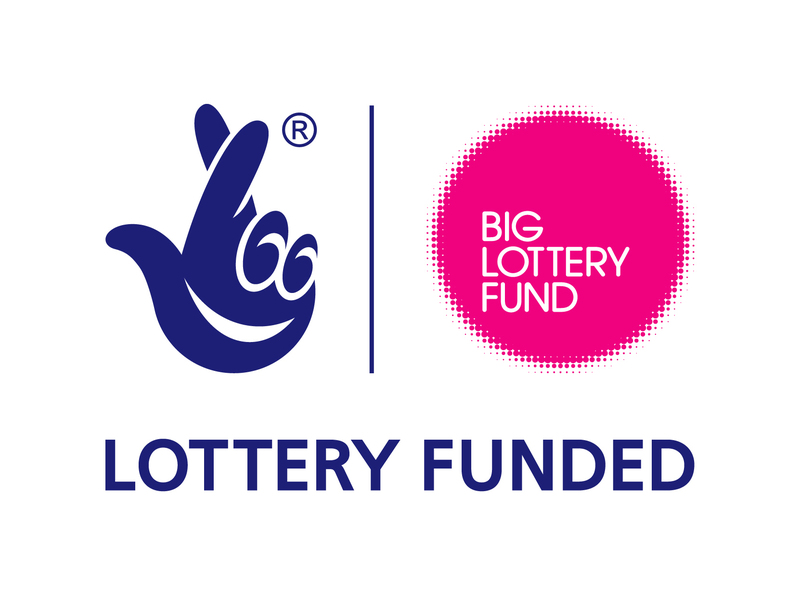 The Fraser Centre Community trust would like to thank the Big Lottery for funding a development grant of £83,723.69.